Sri Lanka fast bowler Lasith Malinga took his first hat-trick in a Twenty20 global during the penultimate over of Bangladesh's innings in the final match of the series in Colombo on Thursday. Shakib al Hasan top scored for Bangladesh with 38 off 31 balls after Imrul Kayes (36) and Soumya Sarkar (34) had put on 71 for the first wicket. Malinga (3-34) ensured there were no late flourish for Bangladesh as he claimed the wicket of Mushfiqur Rahim (15), Mashrafe Mortaza (0) and Mehedi Hasan (0) in a span of three deliveries to claim the hat-trick. Only Chamara Kapugedera offered some meaningful resistance with a 50 after Sri Lanka were five wickets down on 40, but lack of help from his fellow team-mates, who were baffled by the Bangladesh bowlers, meant the Lions would this time be tamed by the Tigers. On a tour where Bangladesh hadn't lost any of the preceding series thus far, having tied both the Test and the ODI series 1-1, the tourists made a great start in Mashrafe Mortaza's final T20I appearance at the Premadasa Stadium on Thursday (April 6). They will be tempted to include young off-spinner Mehedi Hasan MIraz as well to exploit the conditions more and return home without yet another heartbreak. The preceding Test and one-day global series involving the teams also ended in 1-1 draw. Bangladesh captain Mashrafe Mortaza wins the toss in his last T20I, and chooses to BAT first. Mustafizur dismissed Kapugedara and Malinga in the next over to take Bangladesh close before rookie pace bowler Mohammad Saifuddin completed the team's second ever win against Sri Lanka. Shakib, too, was excellent throughout the match, following his 38 with 3 for 24 from 4, and was rightly named Man of the Match. In reply, Sri Lanka were dented early as they lost their top-scorer of the first game, Kusal Perera in the first over when he attempted a cut shot off Shakib, only to drag it back onto the stumps. 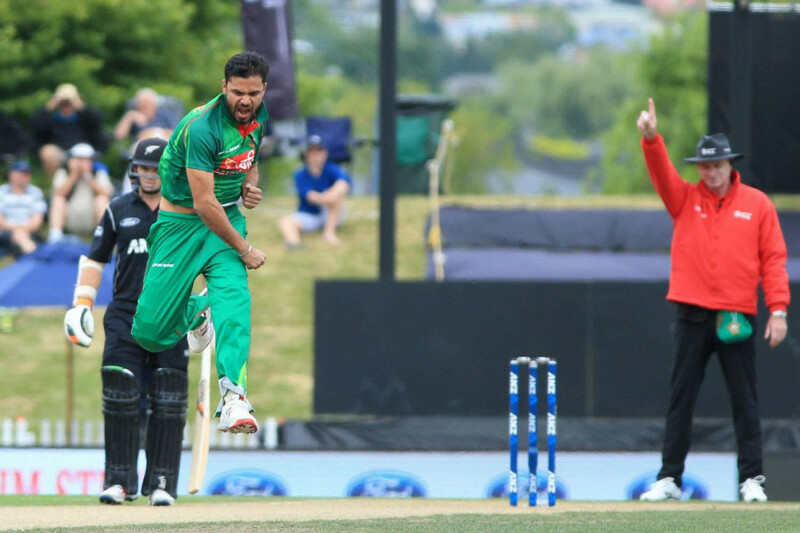 Hasan will be playing in his maiden Twenty20 worldwide for Bangladesh. Sri Lanka are playing with the same team.